issue secure, durable cards in greater volumes without sacrificing quality. 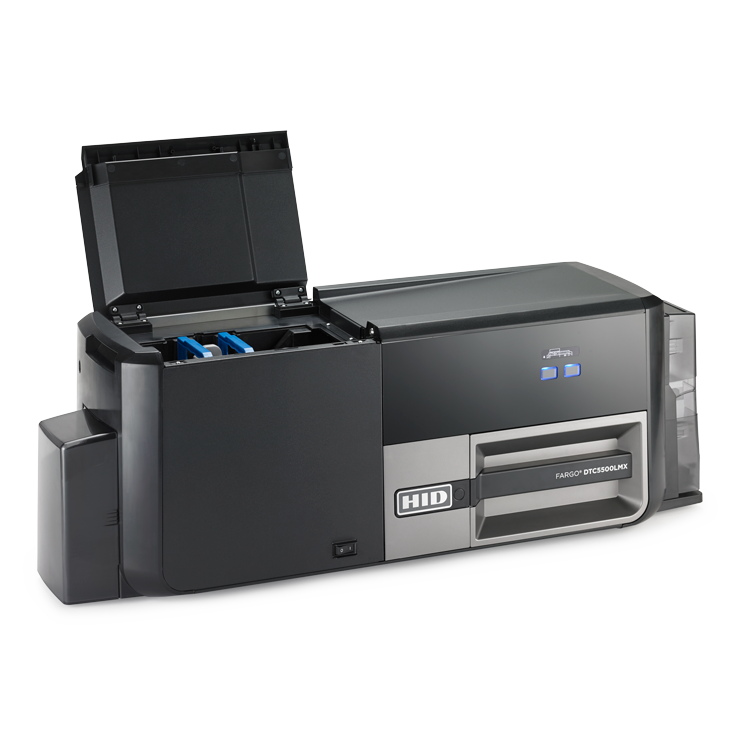 Designed to meet the needs of medium to-large corporations, universities, as well as government and healthcare facilities, the DTC5500LMX includes standard dual-card hoppers and support for high-capacity, full-color ribbon and laminate consumables – keeping costs at a minimum while maximizing productivity. 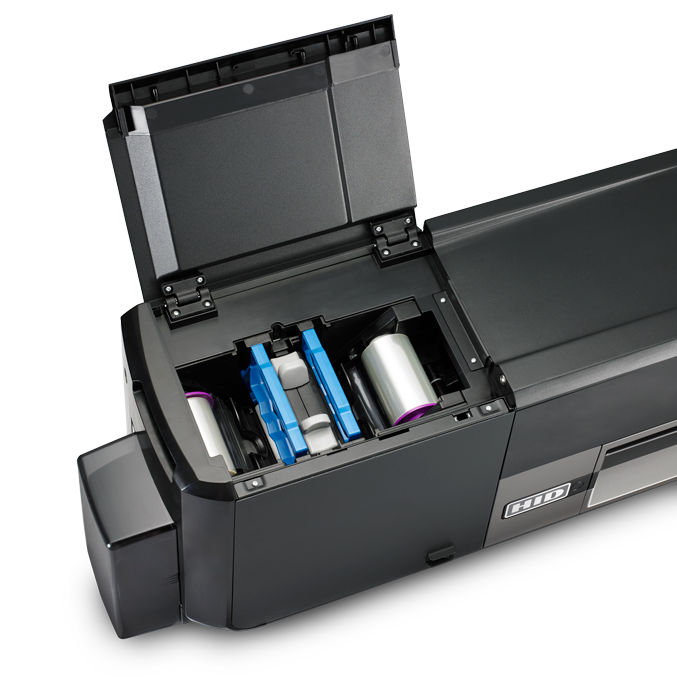 The DTC5500 LMX utilizes HID Global’s innovative wasteless lamination technology, eliminating the need for the standard carrier film and take-up core included in most lamination consumables on the market today. The advanced wasteless lamination technology can substantially reduce high volume laminate materials costs by as much as 50%. Utilizing the wasteless PolyGuard™ LMX overlaminates, DTC5500LMX lamination extends the life of your cards by providing the highest level of card coverage protection available. Whether you need multi-function smart cards, highly secure government credentials, or gift and loyalty cards, the DTC5500 LMX consistently produces sharp, professional-looking cards, every time. In addition, the DTC5500 LMX laminate coverage increases card durability for credentials that will last. PolyGuard™ LMX overlaminates are available in three options: clear, holographic and custom holographic for even greater security. its lamination roller is only on and consuming energy while laminating cards. A dual-side, two-material option is also available for jobs that require different lamination materials on either side of the card. This is especially useful for multipurpose credentials. For instance, universities and other organizations may opt for a custom, holographic laminate on the front of their multi-use smart card for added security and utilize a half-patch laminate on the back of the card to protect other card elements, such as barcodes while leaving a magstripe unencumbered for cashless vending, transit, campus access or other applications. Easy to load and operate, the DTC5500 LMX provides convenient, cartridge-free wasteless lamination, and built-in sensors automatically advance overlaminates within the unit for proper alignment and optimal results. 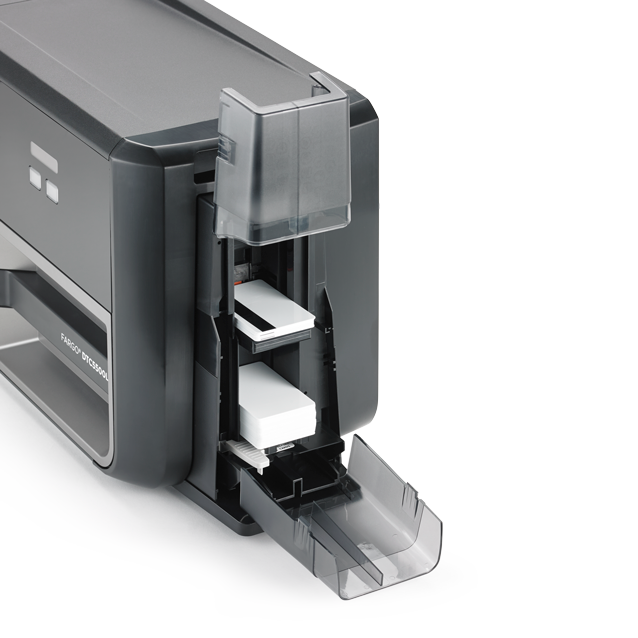 In addition, the printer and laminator features a user-friendly graphical SmartScreen™ display, allowing you to easily scroll through and select printing and lamination options. An optional andon light alerts users when materials are low or cleaning is required, further simplifying operation and ensuring that your investment is preserved over time, even in the harshest operating environments. Attractive, dependable and robust, the DTC5500 LMX is crafted from rugged materials to withstand high performance demands while retaining a sleek, professional look for your office or badging station. The DTC5500 LMX is an eco-friendly, energy-efficient solution that supports corporate green initiatives and helps organizations reduce costs. Not only does the DTC5500LMX considerably reduce consumables waste with innovative wasteless lamination technology, the printer has been GreenCircle® Certified for its energy conservation attributes. processes while providing maximum control, flexibility and security for your organization. 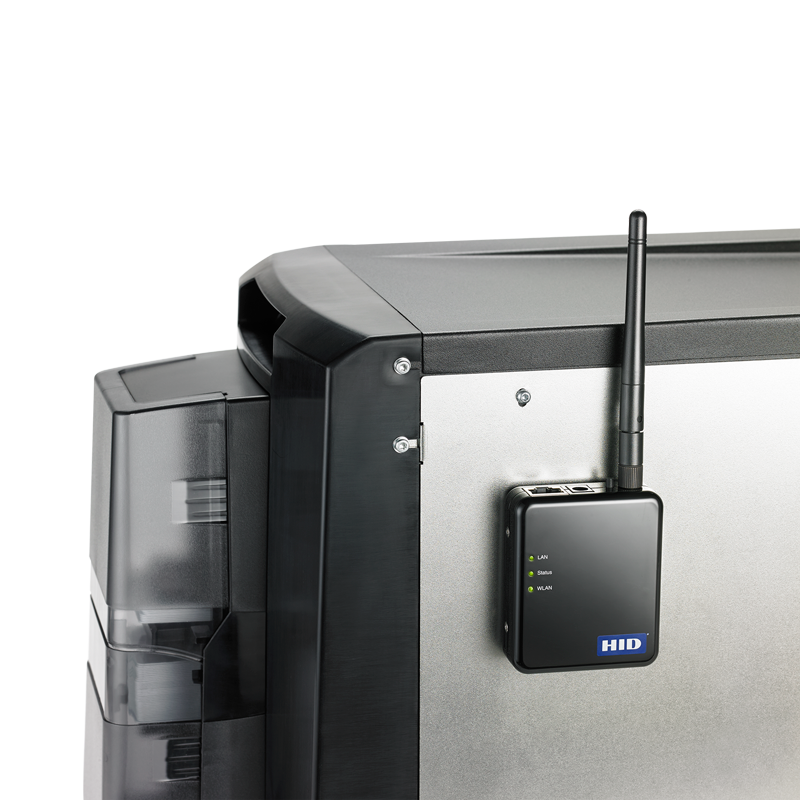 Whether your organization seeks to print simple ID badges or move to multi-functional technology cards for physical access control and beyond, HID Global offers the broadest range of interoperable secure identity solutions in the market. 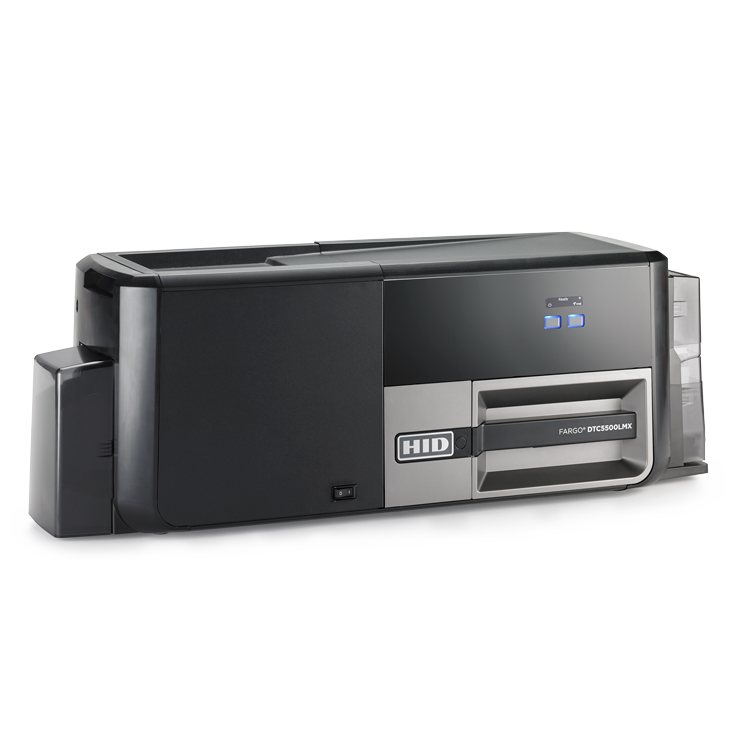 Built on proven direct-to-card technology for every need – from vibrant and durable photo ID cards to multi-functional, high security applications – the DTC5500 LMX delivers on the promise of high-volume, ultra-low costper-card printing and lamination.